Authorities in the United States believe that the two brothers suspected of detonating bombs at the Boston Marathon last week hoped to wreak similar havoc in New York City’s Times Square. On Thursday afternoon, New York Mayor Michael Bloomberg said at a press conference that Tamerlan and Dzhokhar Tsarnaev were planning to set off explosives in Midtown Manhattan. “The surviving attacker revealed that New York City was next on their list of targets,” Mayor Bloomberg said, adding that details of the attempted terrorist attack surfaced in recent days while Dzhokhar Tsarnaev was being questioned by investigators. Dzhokhar, 19, has reportedly since stopped speaking with authorities and remains hospitalized in Boston as he recovers from injuries incurred during last week’s manhunt and the subsequent shootouts with police. His brother and co-suspect in the bombings, 26-year-old Tamerlan Tsarnaev, was killed late last Thursday after an armed standoff with police in Watertown, Massachusetts. 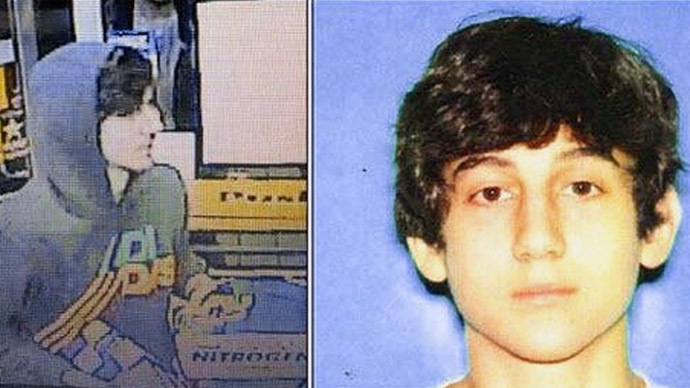 The younger Tsarnaev brother was captured the following evening and has since been charged with using a weapon of mass destruction for his alleged role in the Monday, April 15 terrorist attack in Boston, Massachusetts. Three people died in the blast. Addressing the media earlier this week, New York Police Department Commissioner Ray Kelly said investigators suspected that the brothers plotted a trip to Manhattan after the bombing in order to “party.” At Thursday’s presser, however, Mayor Bloomberg said that his initial suspicions of a second terrorist attack plotted for the Big Apple have proved accurate. “Ten days ago our city and nation received a horrific reminder that we remain targets for terrorists,” said Bloomberg, who stressed that the city of New York responded by immediately mobilizing the NYPD’s “vast counterterrorism operations” in order to combat any follow-up attacks. “We now know that that possibility was in fact all too real,” he told reporters. Bloomberg and Kelly said that this past Wednesday evening they were informed by the Joint Terrorism Task Force that the two Tsarnaev brothers intended to drive more than 200 miles from Boston to New York to detonate additional explosives in Times Square, the Midtown Manhattan landmark that attracts more than a quarter of a million people each day. The brothers, said Bloomberg, “had the capability to carry out the attack.” Kelly claimed the men planned to bring six explosives in all: five pipe bombs and one pressure cooker device similar to the the ones used in Boston. 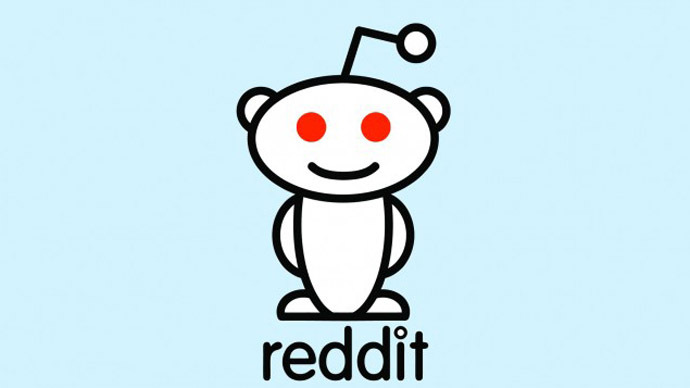 Earlier Thursday, Reuters cited anonymous sources who said the brothers intended to make the trip to New York a week earlier after hijacking a vehicle outside of Boston in the town of Cambridge, but unexpected complications caused them to put the plot on hold. Authorities say the Tsarnaev brothers stole the SUV last Thursday evening after a firefight erupted between the bombing suspects and a Massachusetts Institute of Technology campus police officer. Twenty-six-year-old Officer Sean A. Collier was killed in the shoot-out just after 10 p.m. last Thursday and that incident rekindled a manhunt for the alleged terrorists thought responsible for the marathon bombing three days earlier. Police would pursue the two brothers across the Boston area that evening, during which the pair reportedly threw a number of explosives out of their automobile. The car-chase took authorities to the town of Watertown, where Tamerlan Tsarnaev died following another firefight with police. Police say that Dzhokhar Tsarnaev ran over his brother’s body in the stolen Mercedes while fleeing the scene of that incident and was captured the following evening. Nearly one week later, though, information is finally being released about a second, perhaps much deadlier attempted terrorist attack. 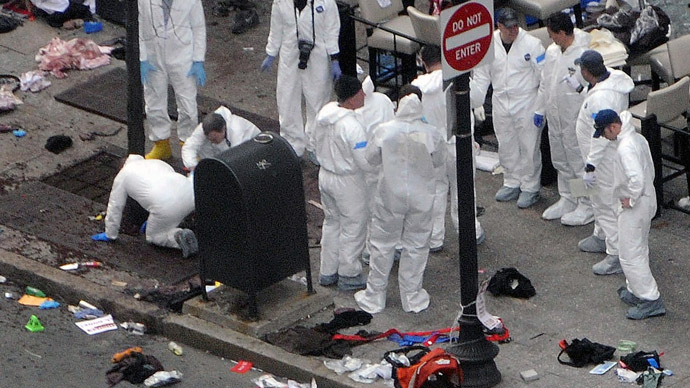 Kelly said that authorities are unsure of when or where the brothers would have detonated the explosives had they successfully made the trip to Times Square, but that surveillance footage recorded earlier on April 18, 2012 has provided investigators with proof that Dzhokhar visited Manhattan last year. 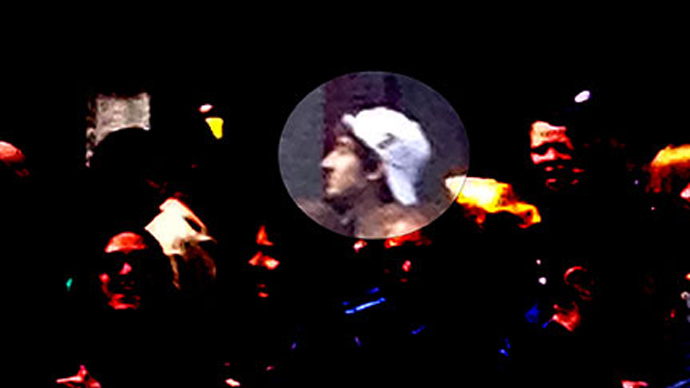 An additional photo obtained by the NYPD links Dzhokhar with being in Manhattan this past November. “The role of surveillance cameras played in identifying the suspects was absolutely essential in saving lives, both in Boston and now we know in New York City,” said Bloomberg. 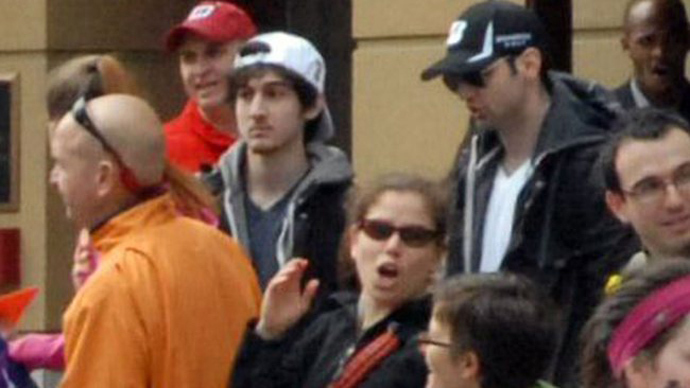 Kelly added that additional people caught on film with Dzhokhar during a visit to New York have been identified as well and that an investigation into the matter is going forward. Had the brothers made it to Manhattan, Bloomberg said they would have seen “an enormous police presence,” but would have been unaware of the city’s vast collection of public surveillance cameras. The New York Civil Liberties Union believes that there are at least 2,400 of those cameras in the city, and real-time data is reportedly sent directly to US Department of Homeland Security fusion centers that spend millions of dollars annually to investigate and interrupt alleged terrorist attacks. Days earlier, Bloomberg admitted to dispatching a crack team of NYPD investigators to a New England fusion center to assist with identifying the suspects before the authorities sought out the brothers.